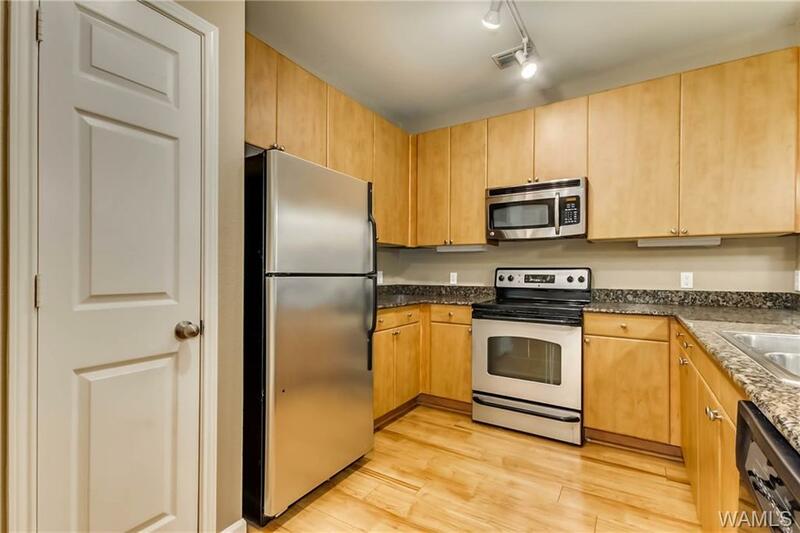 Conveniently located 2-bedroom/2-bath, first floor unit, in the popular Midtown Village. Enjoy the best of both worlds! 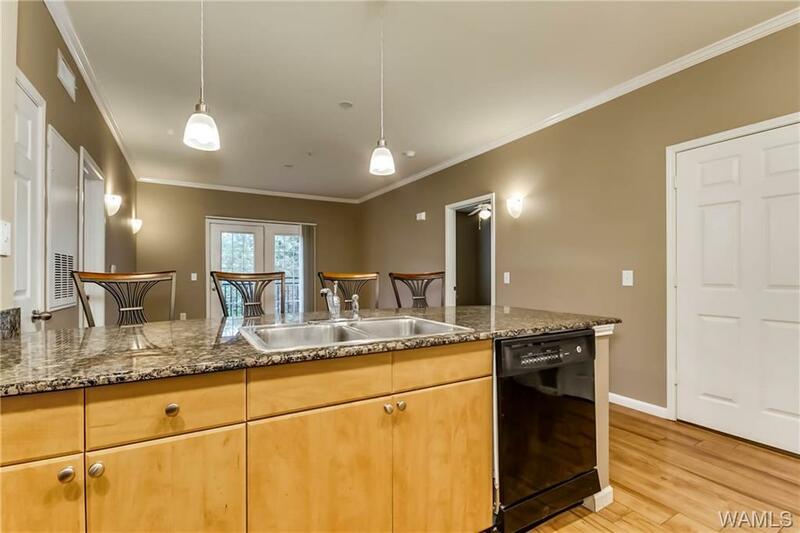 Worry free living in a luxury condominium community with your own private yard landscaped by the HOA. 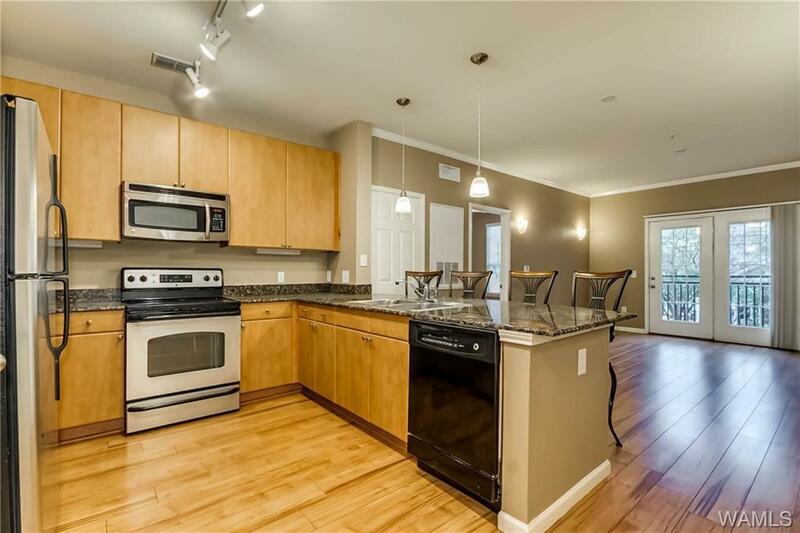 Unit features open concept floorplan with a fully equipped kitchen, granite countertops, high ceilings, lots of natural light, hardwood style flooring, spacious bedrooms, large walk-in closets, and is furnished with washer and dryer. Community offers pool, fitness center, courtyards, tanning center, putting greens, security cameras, garage parking, and gated access. Monthly HOA includes water, trash, cable, and internet. 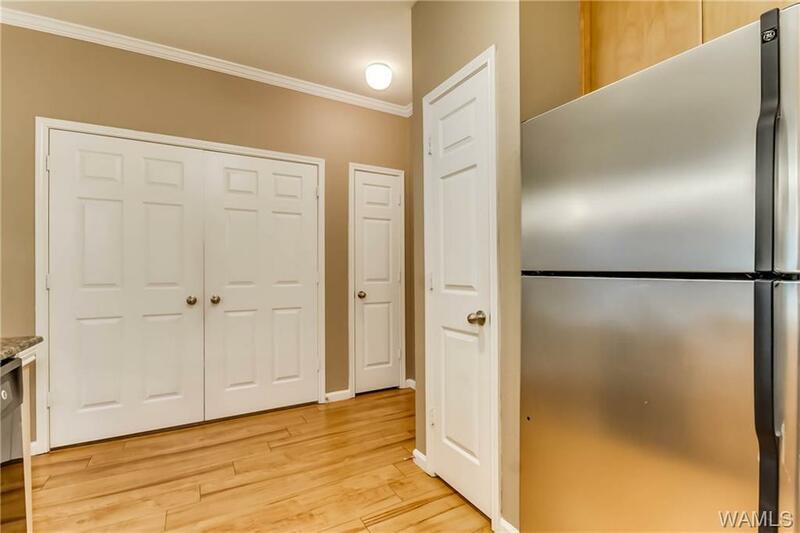 Photos are of unit with the same finishes and layout.